I could share a synopsis of the movie, and how much I can relate to Mrs. Heffley. However, I’m not. You can read the synopsis here. Sorry! I just want to share with you how this movie makes Spanish so cool! It was refreshing to see this in the movie. But, wait it doesn’t end there! 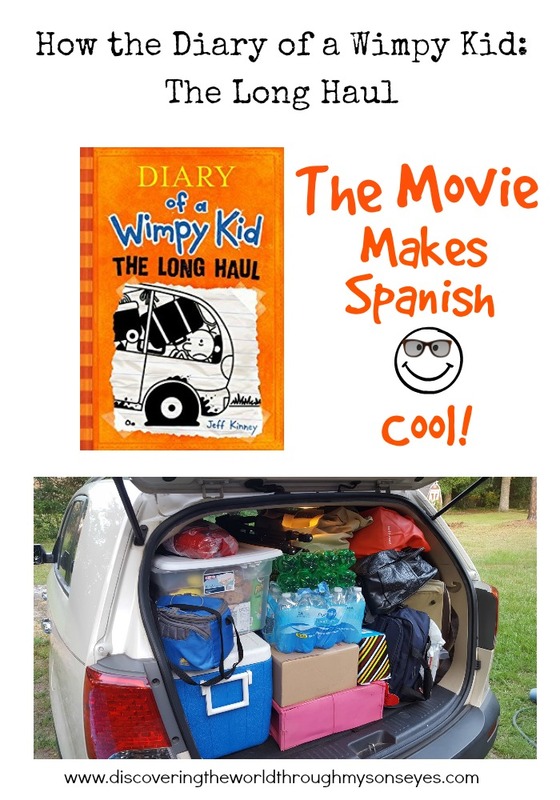 As the movie comes to an end the Heffley family is on their way back home from their road trip. The car breaks down and a tow truck driver pulls over to help them. The driver ask if they need help, but guess what? He only speaks in Spanish! So here comes Manny, the littlest of the Heffleys speaking in Spanish to the driver, and he saves the day! Of course, for all of us raising bilingual children a few hours of listening to audio tapes in another language won’t make you bilingual but I’m sure as happy that this was featured in the movie. You guys know what else is cool? The Diary of Wimpy Kid Series is also available in Spanish! The movie does not make Spanish cool. Spanish was cool waaaaay before the movie. Hahahaha yes you are right!!!! However, seeing Spanish in the movie was cool! Thanks for stopping by.